Alexander Solzhenitsyn, November 16, 1974. Dissident author would have turned 100 in 2018. 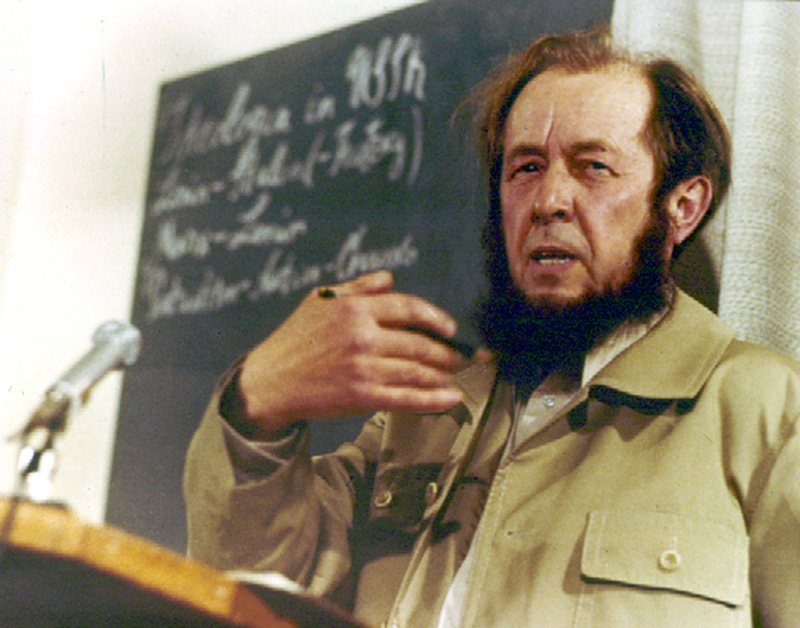 In 2018 Russia will mark the centennial of the birth of Russian writer and Nobel Prize laureate Aleksandr Solzhenitsyn. On July 5, 2016 the organizing committee of the Year of Solzhenitsyn festival announced that a statue would be unveiled. Plans are also in the works for a potential museum to be located on Tverskaya ulitsa, Moscow’s main thoroughfare. The statue honoring the writer of “The Gulag Archipelago” and “One Day in the Life of Ivan Denisovich” will be located between buildings 11 and 13 on the central Moscow street named for the writer. Additionally, the writer’s widow explained that preparations are underway for an exhibition of the Solzhenitsyn’s manuscripts in London, Berlin and Paris, as well as the possibility of a museum dedicated to him in Vermont in the northeastern U.S.